When I showed you OPI Turquoise Shatter the other day, I realized I'd never posted OPI Take The Stage by itself! It is beautiful and definitely deserves it's own post, so here it is! 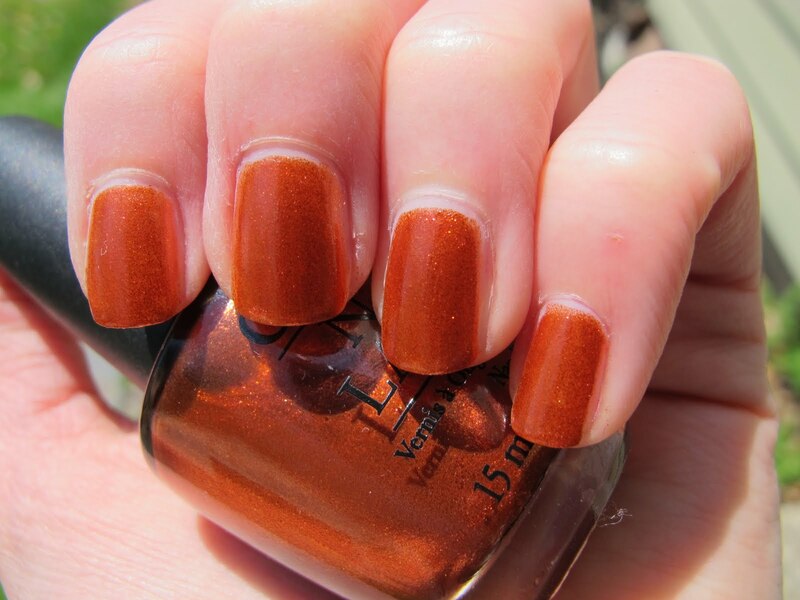 Take the Stage is from the 2010 Burlesque Holiday Collection. My mom gave me this beauty for Christmas, along with one of the glitter polishes from that collection. 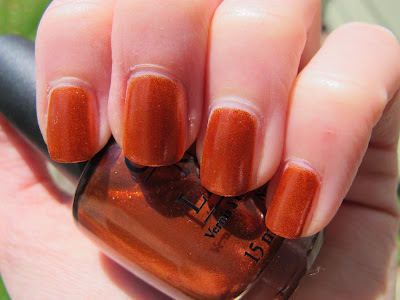 This is a gorgeous copper colored foil finish polish. I did three coats for complete opacity. The formula was very nice on this. Foils can be tricky, but it applied evenly and didn't leave any patchy areas. I think my indoor pictures are the best color representation of this polish. The sunlight ones make it look more red than copper. All in all, Take The Stage is a very pretty metallic copper and looks great alone OR under any of the Blue Shatters! great color for your skin tone! Ooh! 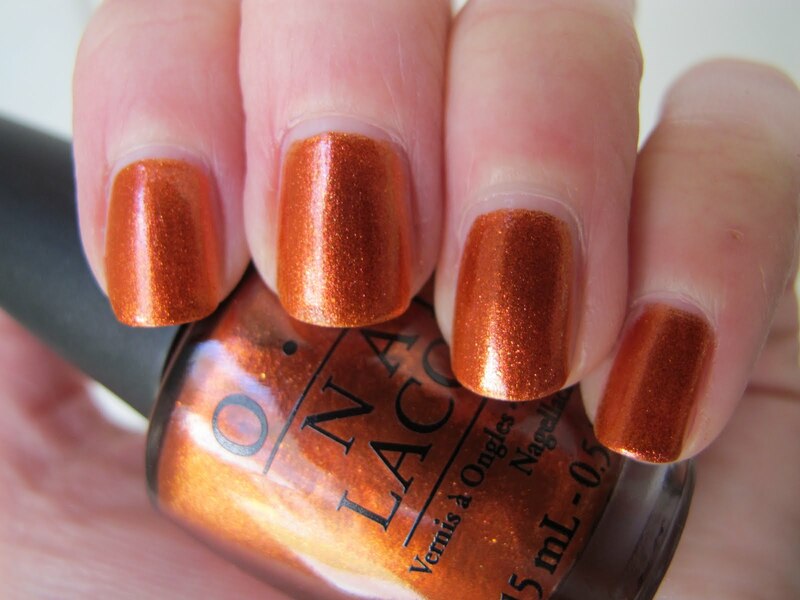 copper prettyness! love it! Thanks Manicured Monkey! I have an eyeshadow close to this color and it's a favorite of mine! Lesley- I forgot how pretty it was until now!